4. Warranty: we promise 10 years for normal use. 5. 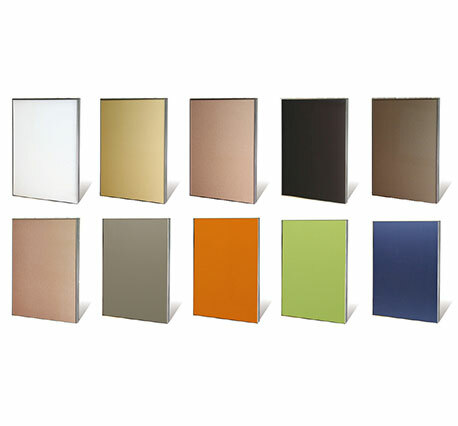 Installation: we can offer both assembled and flat pack cabinets. 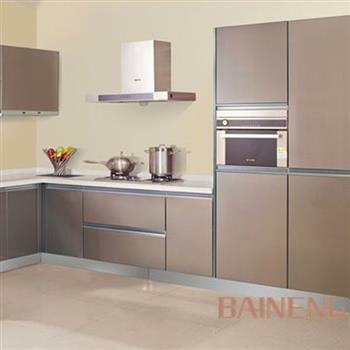 Baineng stainless steel cabinets with mortise and tenon joint structure, it is very convenient for installation. For glass stainles steel kitchen cabinet, it is become more and more popular because of it is with similar advantages of all stainless steel kitchen cabinet, but also because the price is reasonable. Many stainless steel kitchen cabinet dealer were display it as sample in their showroom. 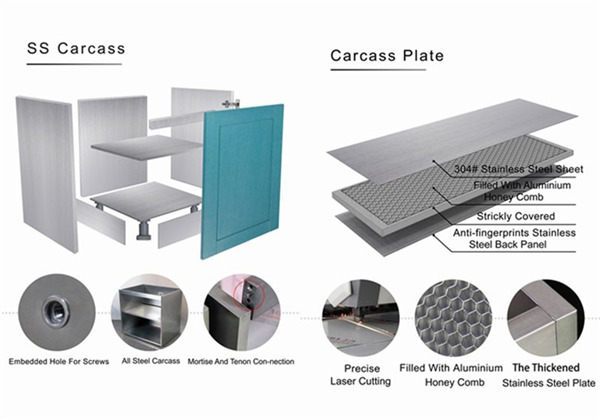 The structure and technology is same as stainless steel door panel, we are keep upgrating and optimizing it and hope it will be much better in the short future. As a kitchen cabinet factory, we have more than 10 years production experience and professional R&D team, we can make customized kitchen cabinet for you according to your kitchen layout and dimensions. We offer one package service and bring the kitchen cabinet to your house. Any questions, please feel free to contact us. 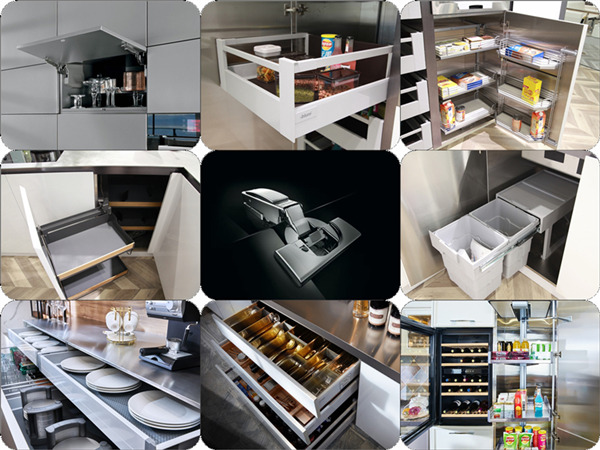 Handle, drawer, functional basket, waste bin, cutlery,etc.. 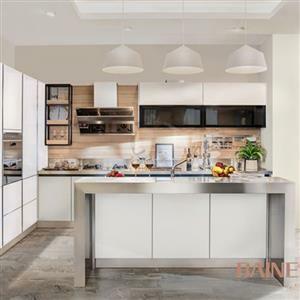 Kitchen accessories and hardware Baineng haves long-term cooperation with blum, we only use blum hinges for all kinds of cabinets. Other hardware such as drawer sliders and fucntional accessories also available. 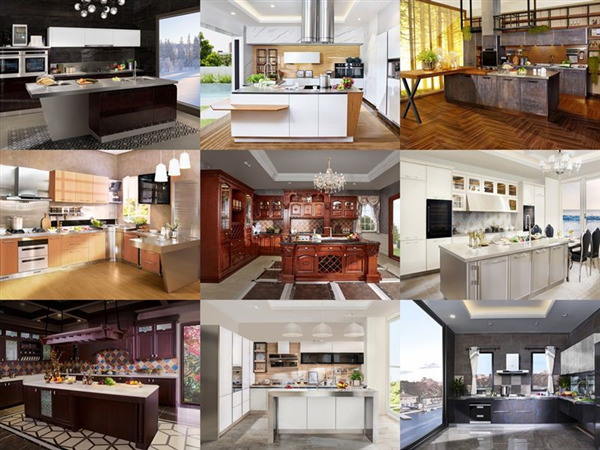 Different and functional kitchen accessories will makes your kitchen life more convenience. 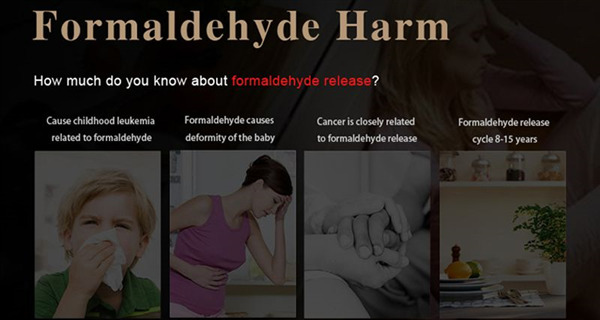 What is formaldehyde?where it is in your house? How to aviod it? Formaldehyde, chemical formula HCHO or CH2O, molecular weight 30.03, also known as formic aldehyde. Colorless, it has a stimulating effect on the eyes and nose. The gas has a relative density of 1.067 (air = 1) and a liquid density of 0.815 g/cm3 (-20 ° C). Melting point -92 ° C, boiling point -19.5 ° C. Soluble in water and ethanol. The concentration of the aqueous solution is up to 55%, usually 40%. It is called formalin, commonly known as formalin, and is a colorless liquid with a pungent odor. 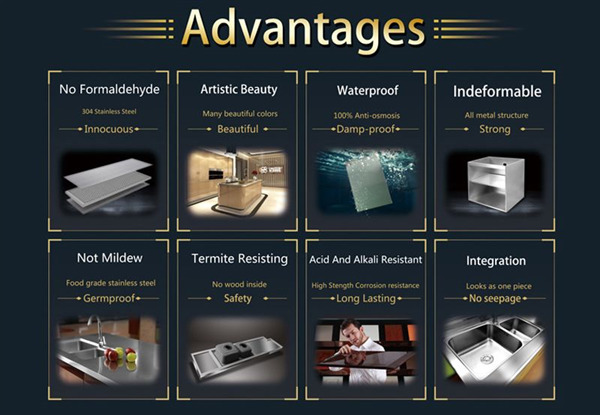 Formaldehyde is mainly derived from materials used in interior decoration or furniture, such as plywood, blockboard, medium density fiberboard, particle board, paint, paint, adhesive, etc., which contain formaldehyde to varying degrees. The most popular method of removing formaldehyde is to ventilate and raise some plants such as spider plants, aloe vera, cactus, and tiger-tail orchids to absorb indoor polluting gases. If there are wooden furniture or floors in the house, spray some plants, if you are not at ease. Using some formaldehyde-removing materials, such as leaf shale, diatomaceous earth or activated carbon, diatomaceous earth and activated carbon have a simple function of adsorbing formaldehyde. 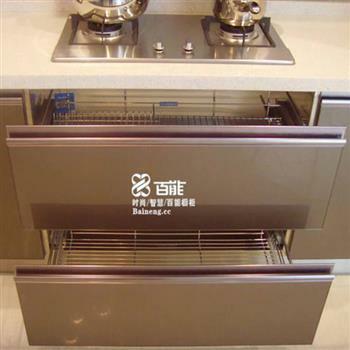 Because of the unique spatial three-dimensional network mechanism and double-helical nano-winding mechanism, Adsorption, locking and decomposition of formaldehyde will be better than activated carbon, and the scope of application will be wider. 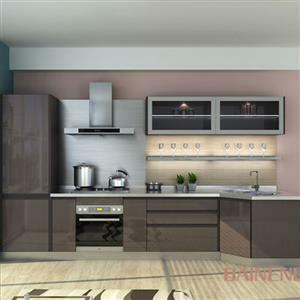 The best way to avid famaldehyde is choice home furniture which without it or try to avid using the furniture with it. How to place a order to us? 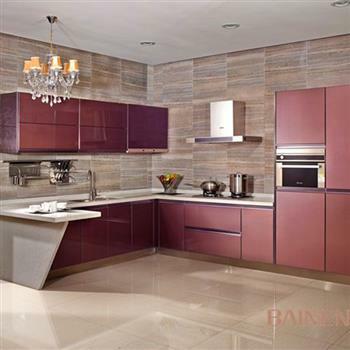 Step 2: We design a particular kitchen cabinet accordingly, both AutoCAD drawings and 3D are available. 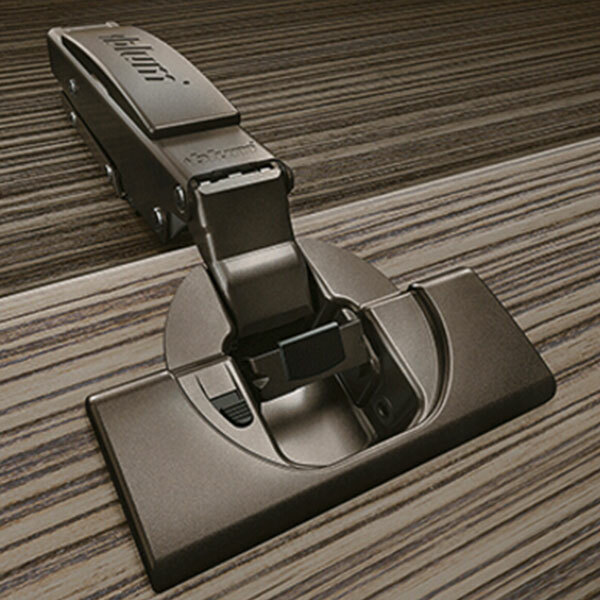 Step 8: Offer installation guidance and lifetime technical support after sales. 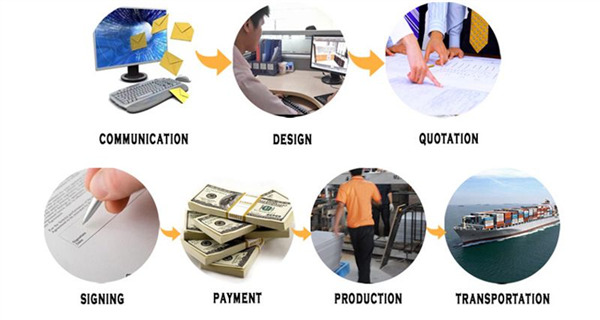 Flat package: Flat package suitable for project. it can save a lot of space in the container. 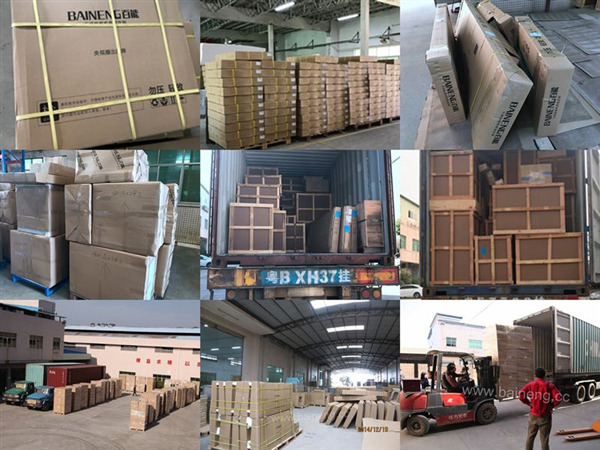 Package for LCL shipment: For LCL shipment, it will have more risk than full container, so we use the wooden frame package to make sure you can receive the perfect kitchen. 1. Our factory situates in Zengcheng distict, Guangzhou China, which is 40 minutes to Guangzhou airport by car, the nearest port is Guanzhou Huangpu. 2. 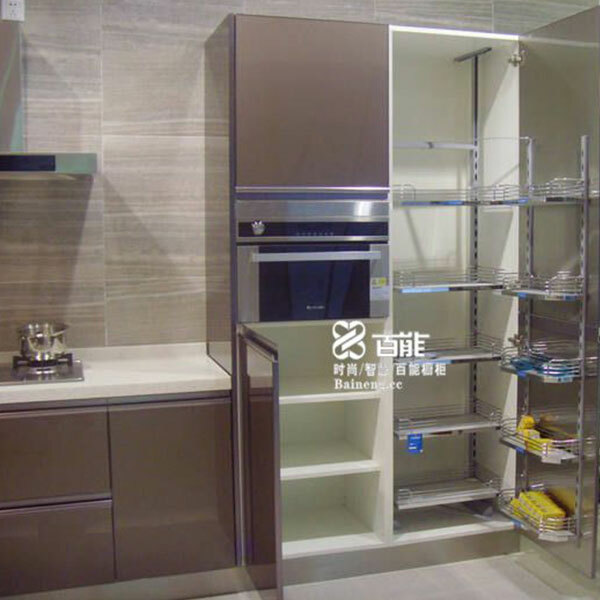 Our kitchen cabinets with waterproof and environmental protection, we do a lot of kitchen projects for overseas contractors. 3. 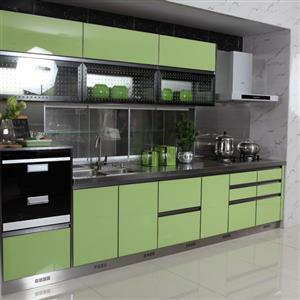 We can customize all kinds of kitchen cabinets with different door material and style , such as stainless steel with modern and classicj etc. 4. We promise 10 years warranty for stainless steel kitchen cabinets.